This gorgeous Art Deco marble clock garniture set provides great contrast against our client’s bold red walls. We’ve been talking about color during this month of shamrocks. So far, we’ve looked at decorating with houseplants, adding color to your decor with accessories, and how to add warmth and mood to your rooms with natural wood elements. 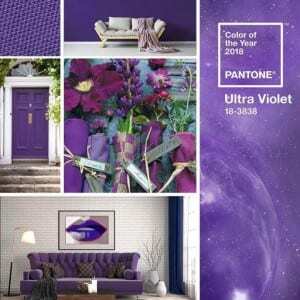 In today’s client spotlight, we look at color from a different perspective: How you can use neutral accents to complement strong hues on the wall, floor, or in furniture. Our friend Dave lives in a 19th-century rowhouse, filled with inherited antiques from the 1920s. Luckily, Dave loves that era in general — and Art Deco style in particular. To successfully go bold with color in your interior design, be sure to incorporate plenty of neutral-colored accents. As you can see, Dave isn’t afraid of color! 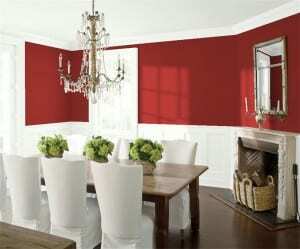 His bold, red walls really make a statement. But while all that red could be overwhelming, it isn’t. That’s because Dave knows how to use neutrals to balance the vibrant hue of his walls. Note how the crown molding, mantlepiece, and built-in bookshelves all are painted white. 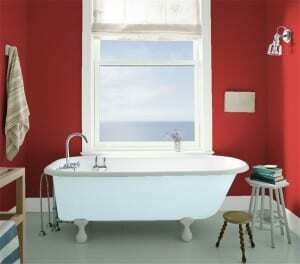 This serves to “cool down” the red and define the shape of the walls — especially the lovely bay window at right. Dave also uses white sheer curtains on the windows to lighten up the space. More cooling accents come in the form of blue-and-white plates hung on the wall, along with the neutral-colored marble Art Deco clock garniture set Dave purchased from us. The red wall almost serves to frame the neutral colored Art Deco clock garniture set on the mantelpiece. As a stone, marble exerts an intrinsic cooling influence on an interior. In this case, the marble’s tan and taupe colors also work to balance the warmth of the red wall. In fact, the red wall helps highlight the beautiful clock, acting almost as a frame around it. I love it when people take a fearless approach to color. 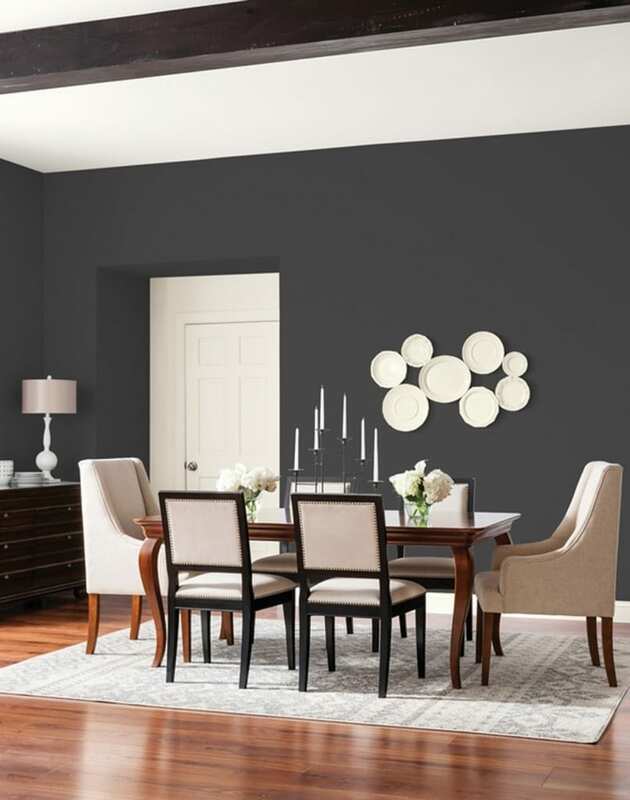 And this wonderful design scheme by Dave shows you can successfully use even the boldest wall color as long as you tone it down by using neutral accents. Well done! This entry was posted in Antique Clocks, Client Spotlight, Home Design Ideas and tagged 19th century, Art Deco, bay window, bold colors, bold design scheme, clock, crown molding, crown moulding, garniture, neutral colors, neutral hues, neutrals, red design scheme, red walls, row house, rowhouse on March 14, 2013 by admin.